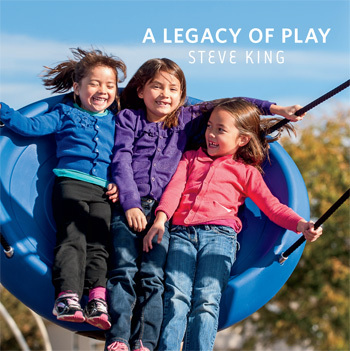 Steve King, our cofounder and chairman, released a book titled, A Legacy of Play, in January. In A Legacy of Play, readers take a journey through the unusual history of Landscape Structures, and learn how the company helped the playground industry evolve while keeping in mind the most important aspect of play—child development across all ages and abilities. When Steve was a landscape architectural student at Iowa State University in the mid-1960s, he was eager to learn more about play and went to the Child Development Department to observe kids. Their behaviors—kids didn’t like standing in line to use the swings or slides; they wanted group activities—got him thinking. For Steve’s final project he designed a playstructure using the continuous play concept, which combines traditional playground equipment into an endless stream of activities. 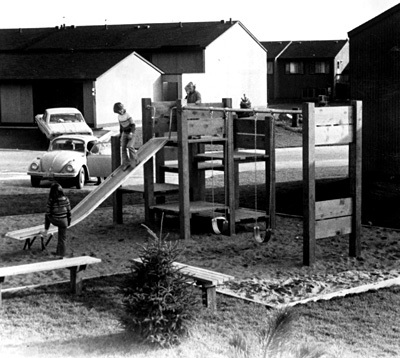 Landscape Structures’ first sold playstructure. In 1971, Steve and his late wife, Barb, cofounded Landscape Structures. We are headquartered in Delano, Minn., and proud to be a 100-percent employee-owned company. Since opening, Steve and Barb were committed to enhancing children’s lives by creating inspiring play experiences, a mission that all of us employees connect with and work towards. Landscape Structures corporate headquarters in Delano, Minn.
Steve continues to serve as chairman of Landscape Structures and is a Fellow of the American Society of Landscape Architects (FASLA). 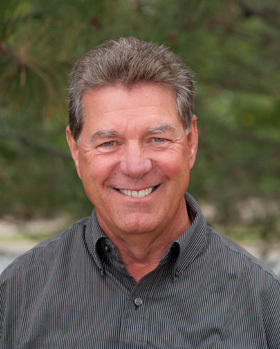 He served as chairman for the task group of the American Society for Testing and Materials (ASTM) that worked to develop accessibility standards to comply with the Americans with Disabilities Act (ADA), is a Certified Playground Safety Inspector, and a founding member and past president of IPEMA (International Play Equipment Manufacturers Association). A Legacy of Play is available for order on amazon.com. The cost of the book is $14.95, and proceeds will go to the SEBA Foundation, the King family charitable foundation dedicated to environmental and children’s causes. This entry was posted in Continuous play concept, Play, Playground and tagged A Legacy of Play, Landscape Structures, Steve King by PlayLSI. Bookmark the permalink.